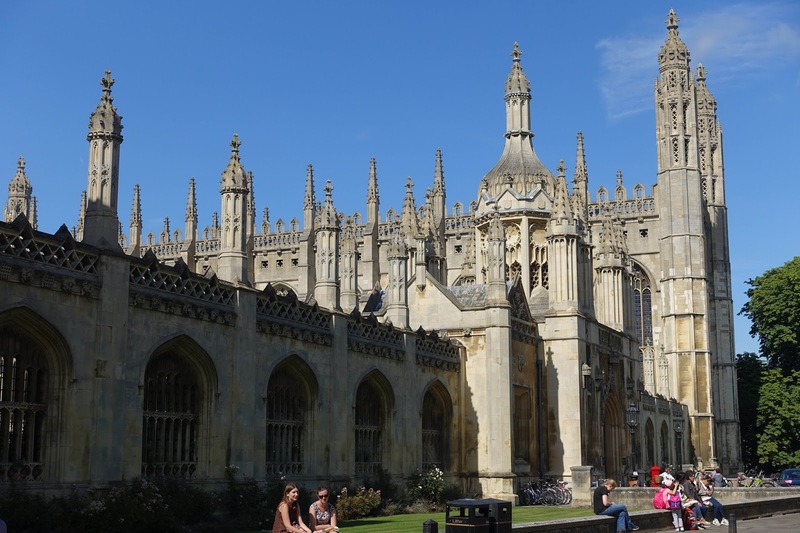 Cambridge is a college town with lots and lots of tourists. 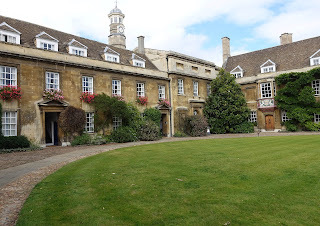 The colleges are beautiful, old buildings with wonderful gardens. 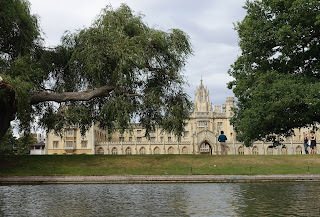 The city is made for walking around and of course punting on the River Cam. 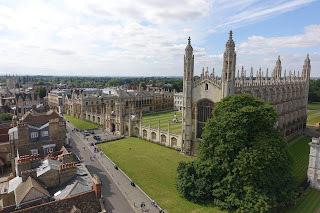 We climbed the tower of Great St. Mary's - the University Church Cambridge. Good views in all directions. 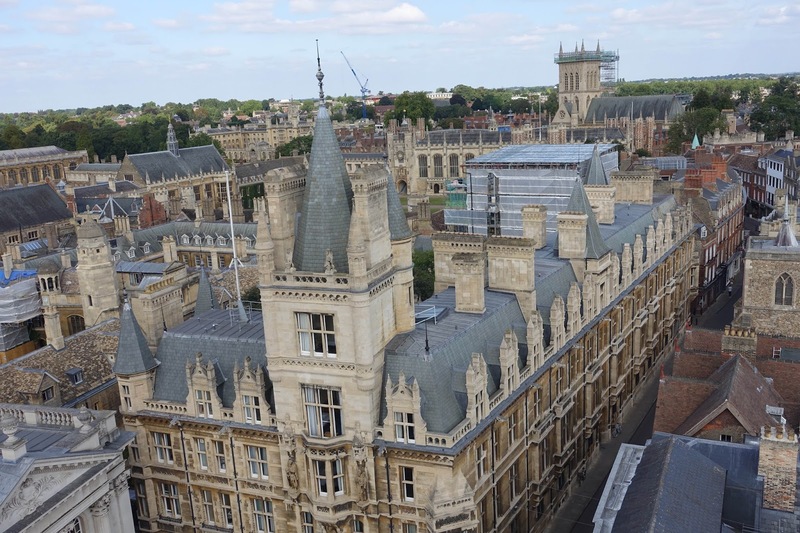 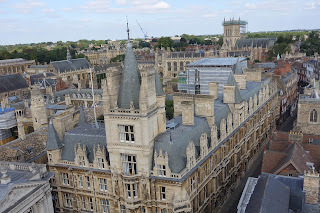 North view - Gonville and Caius College with Trinity College and St. John's College in the background. 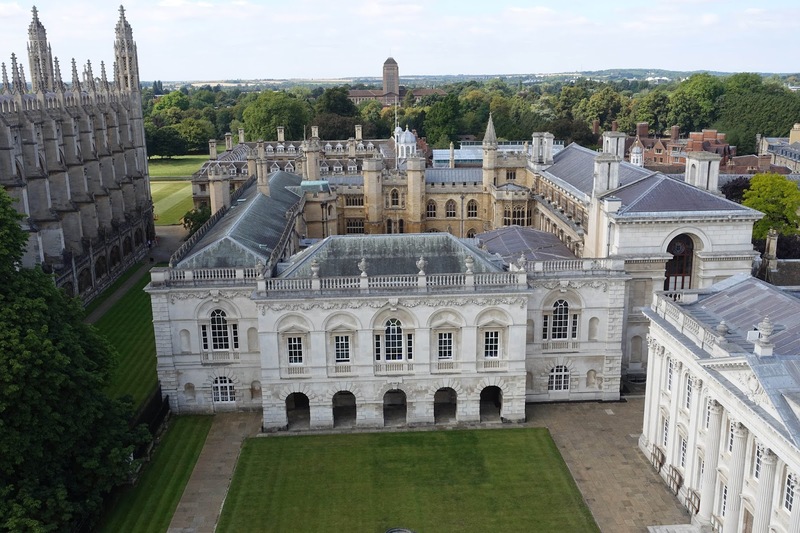 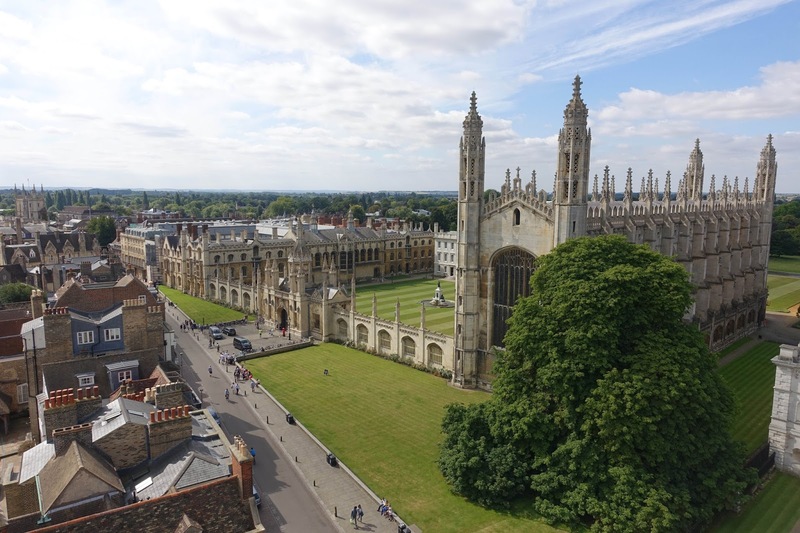 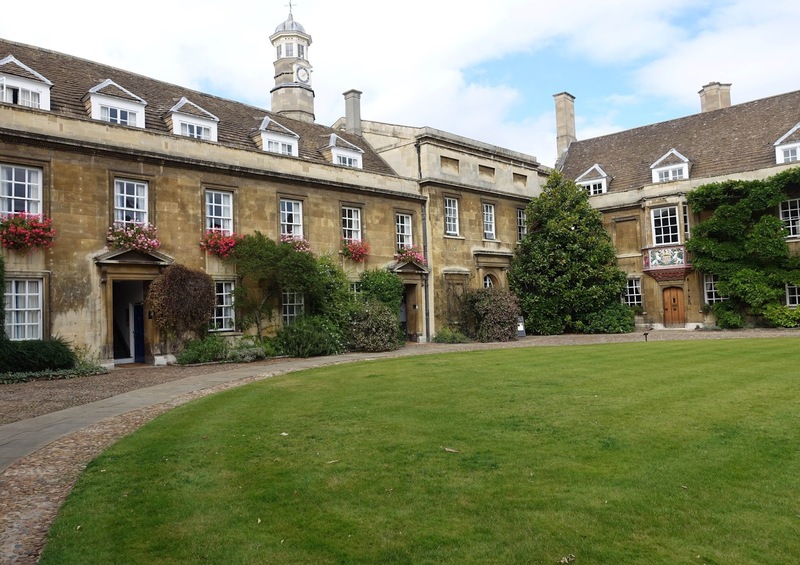 West view - The Old Schools with King's College and Chapel on the left and the Senate House on the right. South view - King's College. 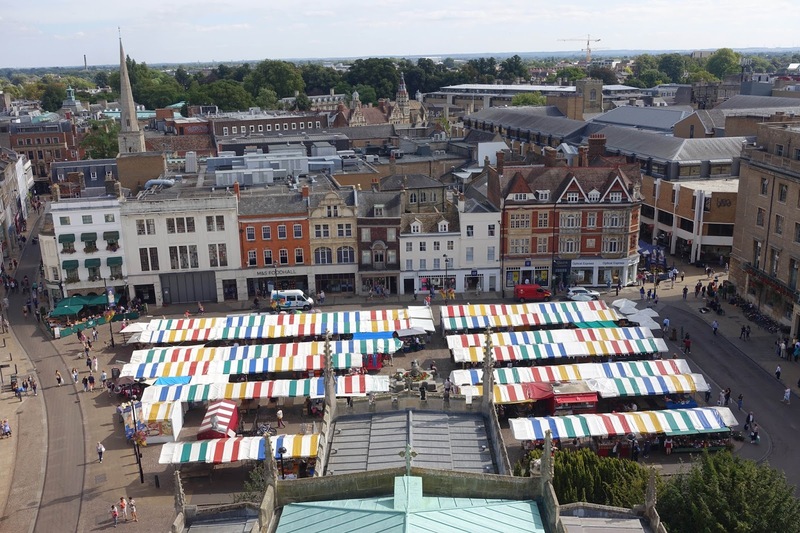 East view - Market Square. 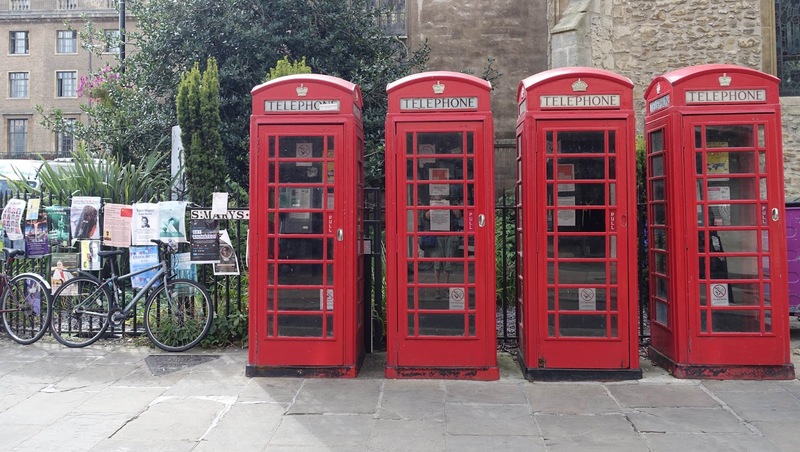 The classic red phone booth of England. These were even working phones. 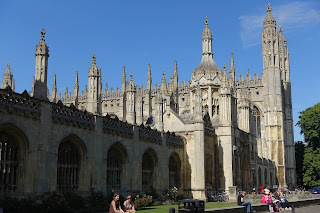 Most we have seen are in need of repair or the phones are missing. Street musicians. 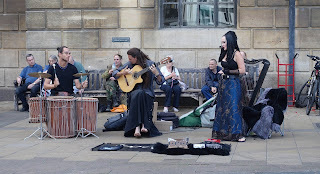 These guys had a new age sound and were quite good. 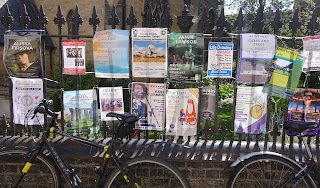 Of course in a college town there are lots of flyers promoting up coming events, but in Cambridge it is all very neat. 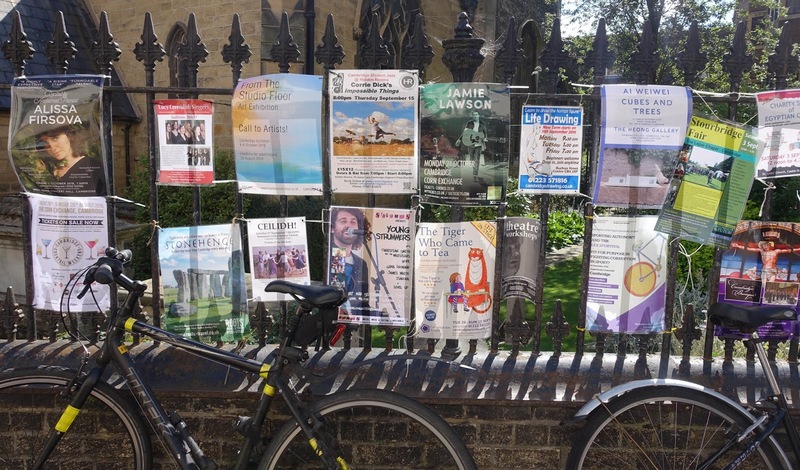 The flyers are laminated in plastic and attached with zip ties to iron fences. 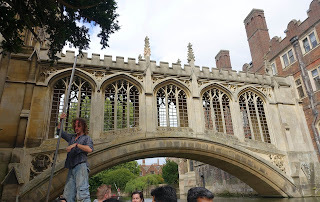 New Court aka the "Wedding Cake"
We took a shared punting tour. 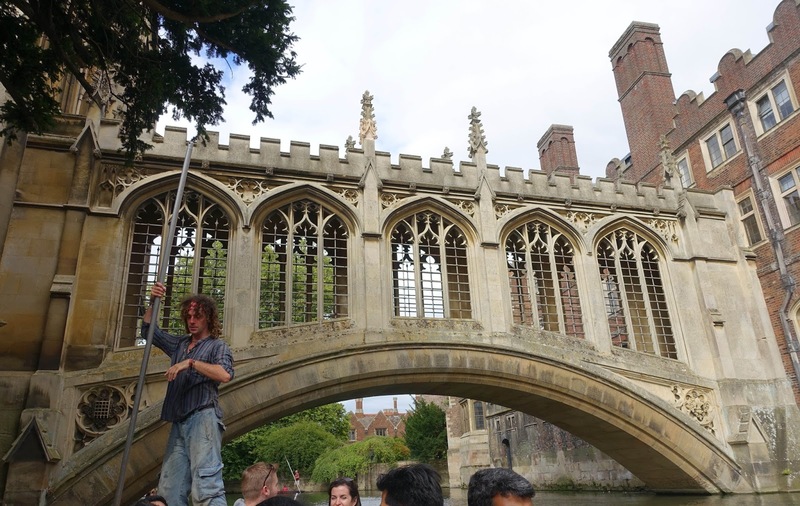 Our "chauffeur" with the Bridge of Sighs in the background. 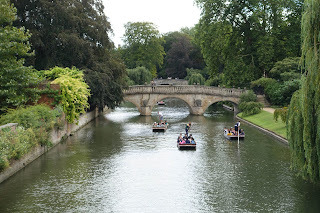 Punting on the River Cam.